Selling A House With Or Without Furniture – Which Is The Right Choice? If you’ve decided to put your house on the market, one of the things you’re probably contemplating on is whether to sell it with furniture or leave it empty. For this matter, there is really no definitive answer, even experts have different opinions on this. The right choice for you would really depend on your preference, priority and budget. To help you decide on what to do, read about the upsides and downsides of both options below. 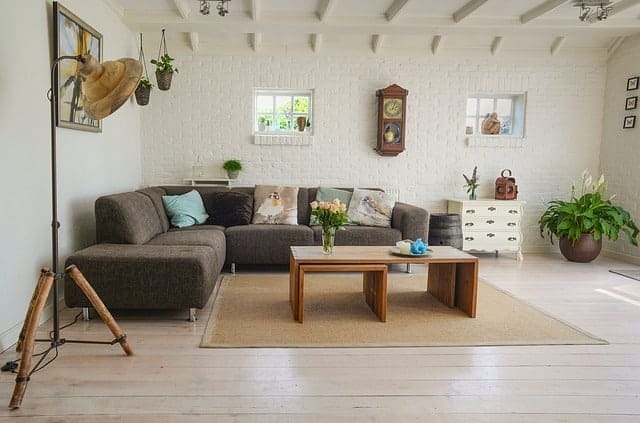 One of the advantages of selling your property minus the furniture is that you don’t have to spend on staging, which can be costly especially when you hire professionals. Also, if you’re planning to move out before or while the property is on the market, you don’t have to go through the inconvenience of leaving your furniture behind. Oftentimes, unfurnished houses are already empty. Since your house is no longer occupied, scheduling showing wouldn’t be difficult. In this business, a property that can be shown immediately tends to get more visits. More visits means higher chances of selling the property right away. As per some experts, an unfurnished house may make it easier for potential buyers to visualise its potential and see it as their own. However, this can only be beneficial for you if the client is imaginative or creative. Otherwise, a spatially-challenged buyer may struggle picturing how the house would look like with furnishings or what type of furniture to use as well as where to put them. In this case, the bareness of the house can be a deal breaker. Apart from being viewed as less appealing, an empty house tends to look smaller. Lastly, the absence of furnishings may emphasise the minor imperfections in your house. This means, as there is nothing to distract them, homebuyers may easily notice cosmetic problems like scratches or paint chips. This may hurt your chances of getting an offer because the only thing the potential buyer may remember are the negative details about your house. Staging your property can improve its aesthetic appeal and make it more marketable. The presence of furniture and decorative pieces conveys the message that the property isn’t just a structure; it’s a home. Moreover, it is going to have a warm and inviting atmosphere which can make homebuyers feel comfortable. However, you must keep in mind that having these furnishings doesn’t automatically make your house charming. In fact, when poorly put together, they can make your property look cluttered. Furthermore, if your furniture and decorations are shabby and dated, they can drastically pull down the aesthetic appeal of the house. Another downside of selling with furniture is that it can be costly. If you can’t use your own furniture for staging, this means you’d have to rent them and/or hire home stagers. Oftentimes, these types of things come with a hefty price tag. Also, properly staging your property may take some time. The consequence of this is that you can’t immediately show your house to potential buyers. Now that you know the pros and cons of both sides, which option are you leaning towards? If you are still having a hard time deciding, call us and talk to our experts for more useful insights on this matter. For more helpful tips on selling your house, visit our website or call us at 014959020.